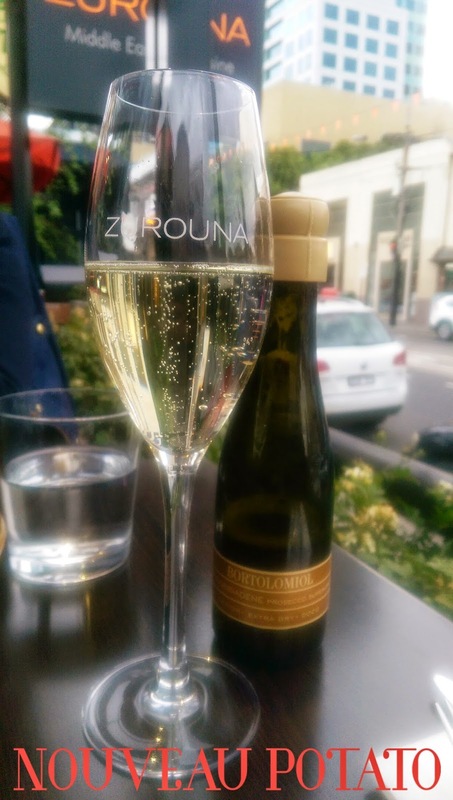 It is easy to overlook the strip of restaurants, set up in a line like Lygon Street along Toorak Road. 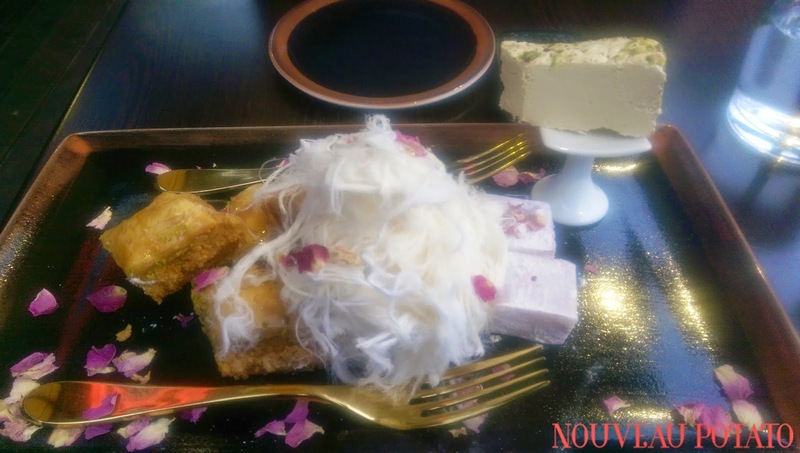 Popularities like Miss Chu have seen a new focus and recently opened Zurouna, has reaffirmed a decent standard of food minutes from the Chapel Street precinct. With my friend, M, back in Melbourne, she was eager to try something new and suggested this relatively new Middle Eastern eatery for an early weekend dinner. Arriving at five o’clock, we were told only seats outside were available, and took one by the street, convinced that the view would be pleasant if it were not for the fumes of the stopping traffic and the petrol station opposite. The menu is designed to share and we ordered dips, a vegetarian tagine and the dessert plate. The dips arrived after the main, as if forgotten, but were well presented with olive oil and spice. 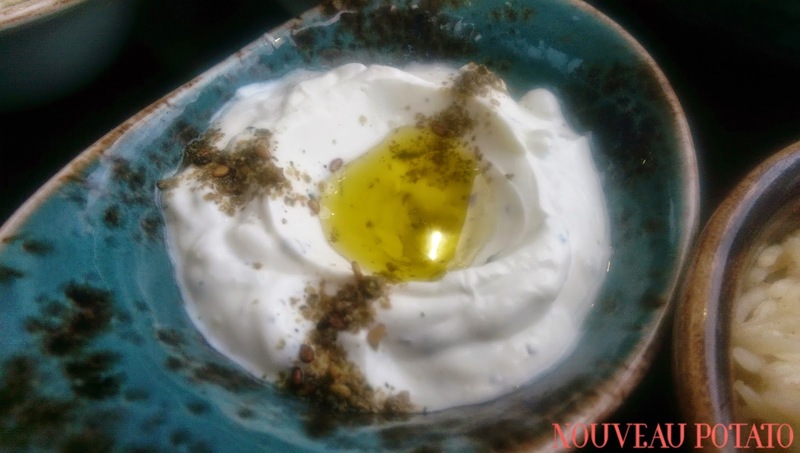 The labneh was with thick, fatty yoghurt, with subtle hints of cucumber and mint and a strong taste of garlic. 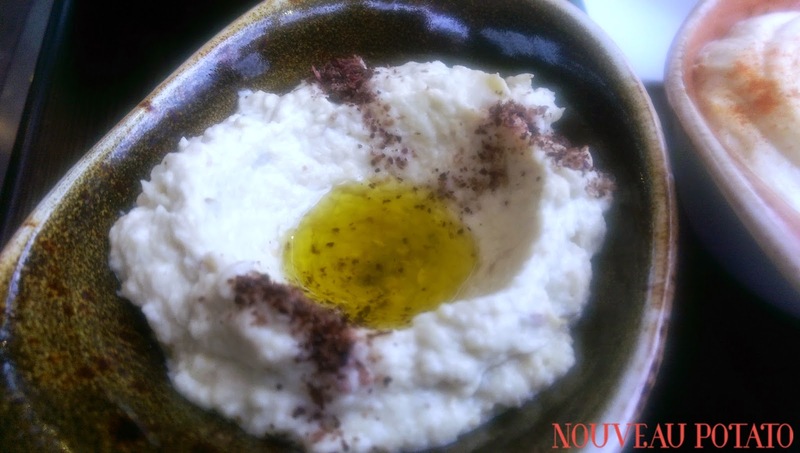 The moutabal was delicious with smoky eggplant and garlic too. 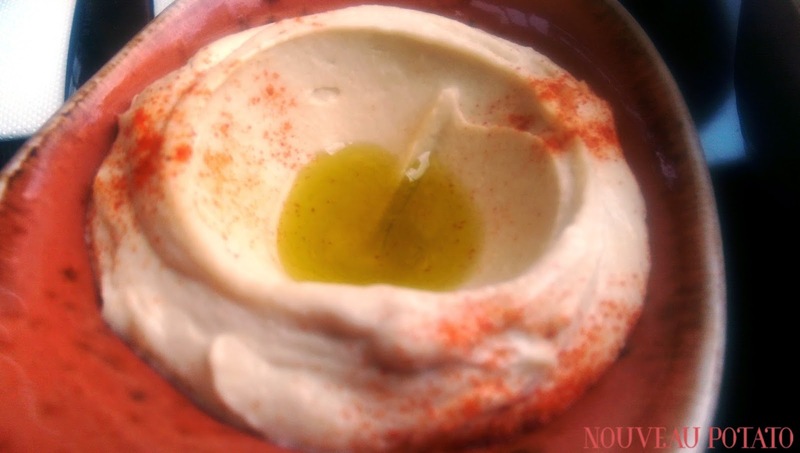 The hummus was smooth and less flavoured than the other two. With a glass of heavily sparkled, apple-tasting Prosecco, they went down very well. 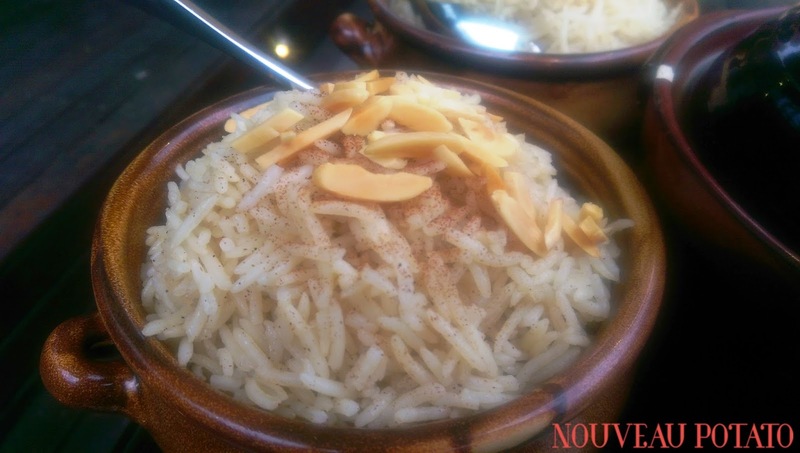 The tagine came with scented rice – cinnamon and almonds. 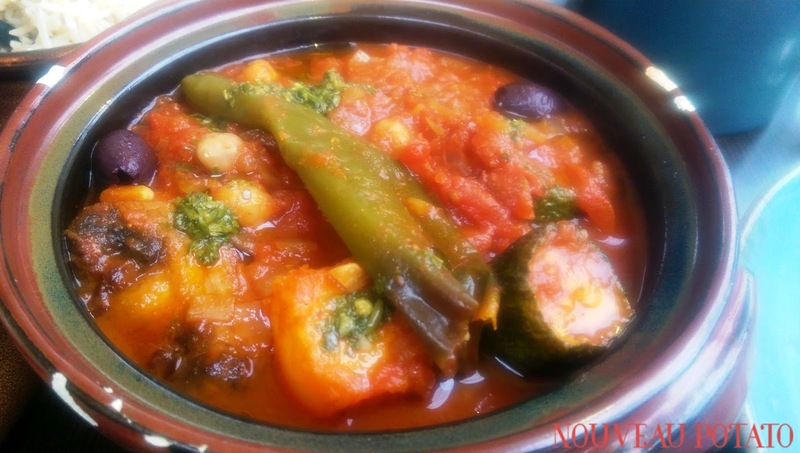 The stew itself was full of veggies; eggplant, zucchini, pumpkin, mushroom, olives, capsicum, tomatoes and chickpeas. It was a filling main, healthy, simple and flavoursome. Dessert was a generous collection of Turkish delight, baklava and Persian fairy floss. The rose petals added a pretty touch, whilst being bitter to eat. The Turkish delight was pleasantly flavoured with rose. The baklava was buttery but not too oily or syrupy. M really liked it. It was hard to ask for the bill at our out of the way table and the restaurant became busy as the rain set in and the night went on. This would be a great spot for a group meal, or just a casual catch up. The food is simple and tasty, with fresh ingredients and large servings. Bookings are recommended for weekends.